Russian military observer Vadim Saranov outlines why the Russian Navy no longer needs its Project 941 submarines to preserve an effective nuclear deterrent. Last week, Russian media reported that the Arkhangelsk and the Severstal, two of Russia's remaining Project 941 Akula ('Shark) nuclear-powered ballistic missile submarines, NATO reporting name Typhoon, are set for decommissioning after 2020, with the vessels already withdrawn from operations with the Navy. That will leave the Dmitry Donskoy the only operational Project 941 sub in service, that vessel presently being used to test the Bulava, a new sub-launched missile set to be deployed aboard Russia's Borei class missile submarines. Commenting on the news of the massive Cold War-era vessels' expected retirement, military experts speaking to Saranov outlined why the Akulas just aren't strategically relevant anymore. At 175 meters long, 23 meters wide and displacing 48,000 tons when submerged, the Akulas grace the Guinness Book of Records as the largest class of submarine ever built. Developed in the 1970s and introduced in the 1980s to serve as the backbone of the naval component of the Soviet Union's nuclear triad capabilities, the immense vessels could stay submerged for 120 days or longer, thereby ensuring an effective response capability in case of a nuclear attack on the USSR. But while the vessels helped Moscow reach nuclear parity with Washington, leading to subsequent nuclear treaties in the late Soviet and post-Soviet periods in the form of the START agreements, some observers believe that the vessels were simply too big and expensive, even in their heyday. "The Project 941 subs look monstrous…and the vessels themselves were wildly expensive," Konstantin Makienko, deputy director of the Center for Analysis of Strategies & Technologies, a Moscow-based think tank, recalled. "Therefore, even the mighty Soviet Union was able to build only six of them, even though initially they were intended as a response to the US's Ohio class subs, of which the Americans built nearly 20," Makienko added. "But here it's not worth blaming the shipbuilders; they just created a missile system carrier based on the missile that they were given." That missile was the R-39, a sub-launched missile with a solid-fuel boost design which featured reduced prelaunch preparation time, good reliability, and featured good storage and maintenance characteristics. With a total weight of 95 tons, the system was the largest sea-based missiles ever created, and was three times heavier than the US Trident C-4, and one and a half times heavier than the Trident II D-5, even though the latter exceeded the R-39 in terms of payload and range. As Saranov pointed out, the weight of the Akula's missiles, combined with the ballast tanks which held them, was in excess of 20,000 tons. "The full displacement of its main US challenger, the Ohio-class SSBN, incidentally, is only 18,500 tons, and it carries 24 Trident II D-5s, as opposed to the 20 R39s carried by the Akula," the observer wrote. The Akula's high buoyancy, which required ballast to be at half capacity while submerged, Akulas were soon nicknamed the 'vodovoz', or 'water carrier' by Navy observers. 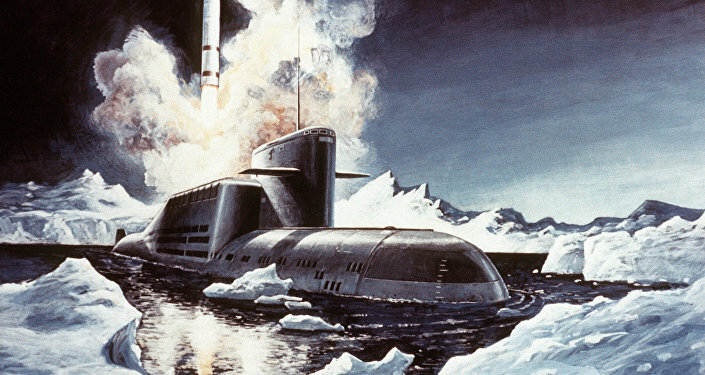 But according to Saranov, "military financiers were in no joking mood," with the cost of maintenance and repair of one Akula at least double the cost of operating a 667BDR Kalmar and 667BDRM Delphin, two other, smaller Soviet ballistic missile sub designs, with the latter carrying just four missiles fewer than the Akula. Additional funding was also required to provide supply infrastructure for the massive subs, with a specially-made 40 km long railway track built in the Murmansk region to transport the R-39 missiles. Specially-developed heavily-lift cranes were designed to load the massive missiles, and a special ship, the 16,000 ton Alexander Brykin missile loader, was built. Another costly innovation, the PD-50 floating dock, was created for Akulas, and was so large that it can now be used to hold the Admiral Kuznetsov aircraft carrier. In the course of their lifespan, one of the main perceived advantages of the Akulas was their size, which theoretically allowed them to break through even the thickest ice in northern latitudes using their powerful hulls. However, as Saranov recalled, this was not always the case. In 1990, the TK-202 Akula failed to break through the northern ice after nearly a dozen attempts. After returning to base, the crew found damage to the hull, the fairing of the sonar station, and other components. Amid the economic turmoil that followed the Soviet collapse, three Akulas were withdrawn from active service and scrapped with US financial support. The Severstal and Archangelsk, decommissioned in 2004 and 2006, respectively, have been held in reserve ever since, with the Dmitriy Donskoy remaining the only Project 941 vessel in service ever since. The last of the specially created R-39 missiles were scrapped in the mid-2000s, forcing the Navy to begin a search for new uses for the gigantic vessels. "The Americans have experience using their Ohio-class SSBNs as cruise missile carriers. I think that the same can be done with our Project 941 vessels," military expert and Captain 1st Rank (retired) Konstantin Sivkov said. "Where an Ohio-class sub can accommodate 150 Tomahawks, the Akula would be able to carry about 250 cruise missiles. Therefore, I consider the decision to write off the Project 941 subs to be a mistake," he added. But other observers, including Makienko, question the cost/benefit of refitting the Akulas, given the immense price tag that would come with restoring the Severstal and Arkhangelsk. What's more, he recalled that the Navy already has several cruise-missile carrying platforms "that are much cheaper and more mobile." Ultimately, with last week's announcement, it seems that the Akula strategic submarines' fate is almost certainly sealed. However, it is fitting that, before they go, the Akula is assisting in the creation of the Bulava, the new missile being created for Project 955 Borei, which will eventually replace all existing Project 667 and Project 941 nuclear missile subs serving in the Russian Navy. In this sense, the Akulas are helping to ensure that the task it was given – an effective sea-based submarine-based nuclear deterrent, will be preserved, even after they're gone.